No carpet is safe from the grime and stains of everyday life. Carpet cleaning is easier if you know the tricks to remove different stains. 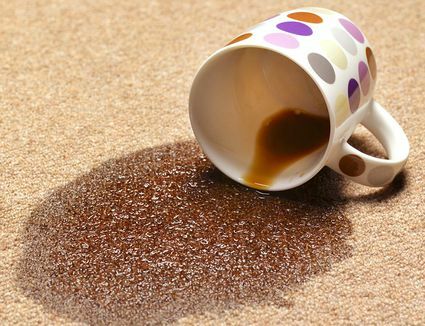 Learn how to remove the top 5 carpet stains. Accidents will happen from time to time and coffee is a stain that needs to be treated as soon as possible. The first step is to blot up as much coffee as possible by using an absorbent cloth. Do not rub. The next step is to test the material or carpet to eliminate any further staining by applying the solution or cleaner on an inconspicuous area. A cleaning solution can be made from 2 cups water and 2 teaspoons dishwashing liquid. Dab the solution onto the stain with a clean cloth. Spray clear water and blot again. Repeat this process until the stain lightens. For simple ways to remove the coffee stain, read our next blog “Simple ways to remove Coffee Stains from a Carpet“. 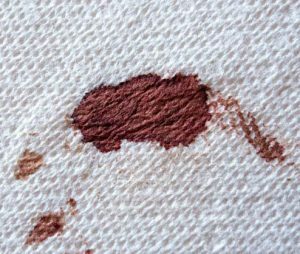 Similarly, red wine stains on your carpet or other fabrics require prompt action to remove them to avoid any permanent marks. Either use a soft absorbent cloth or paper towels to soak up the spillage. When most of the wine has been removed, make a solution of 1/3 cup of white vinegar and 2/3 cup of water. 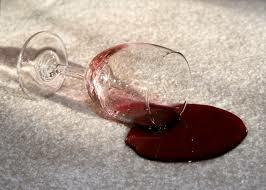 Carefully dab this solution onto the red wine stain and then blot it with a clean cloth to soak up any excess. Then use a mild dishwashing detergent to blot the remaining stain. Rinse the soap by spraying some water onto the affected area, followed by using a dry clean cloth. 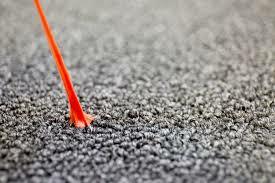 If necessary, blow dry air and brush the carpet to prevent it from flattening when it dries. If you have pets at home, chances are you are familiar with accidental carpet stains. From dirt to hair, your carpet is exposed to all kinds of substances on a daily basis. One of the more difficult stains to remove is urine. The secret is to soak up the urine stain as soon as possible by using a cotton cloth. Apply some pressure into the stain to absorb as much urine as possible from the carpet. Then make a mixture of vinegar and water (50% vinegar, 50% water). Apply this solution onto the urine stain and scrub gently to remove it. Blot the solution with a clean cloth, pressing firmly into it. Vacuum the area once the carpet is dry. 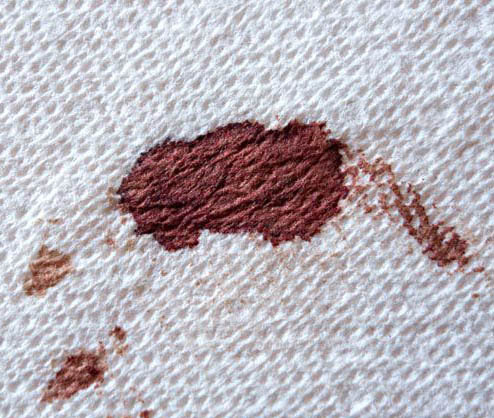 Remove blood stains from the carpet as soon as possible for best results to save your carpet from further damage. Salt can be used to lift blood stains from your carpet as it breaks down the blood proteins making it easier to eliminate the stain. Make a thick paste of salt and water. Cover the stain with this paste and allow it to dry for at least an hour. Then blot the stain with a clean cloth to remove any salt residue from the carpet. Vacuum after the carpet has dried. The longer the gum stains stay on your carpet, the more difficult it becomes to remove. Place a few ice cubes in a plastic bag and put it directly onto the gum stain. This will harden the gum making it easier to remove. If necessary use a scraping tool to get rid of any excess gum. So if you face problem while removing those stains then, call CRG Carpet Cleaning in Adelaide on 0411 154 433 and let our professional carpet cleaners clean your carpet stains professionally. CRG Carpet CleaningCRG Carpet Cleaning BlogHow to remove the top 5 Carpet Stains?